Unable to be released due to blindness in right eye. Perhaps just weeks after she would have fledged, Darner was found in Austin, MN, in early July, 2009. She was first taken to the Hormel Nature Center, and then to The Raptor Center. She was dehydrated and had moderate weight loss, but the main trauma was soon clear – she was blind in her right eye due to unknown trauma. Darner does not vocalize, though the reason is unclear. The decision was made to have her join our winged ambassador team if she had the temperament that would fit. Darner’s name is fitting, as female kestrels in particular follow green darner dragonflies in fall migration. American kestrels will grab these three-inch-long dragonflies and eat them in flight. They may have originated the idea of fast food! 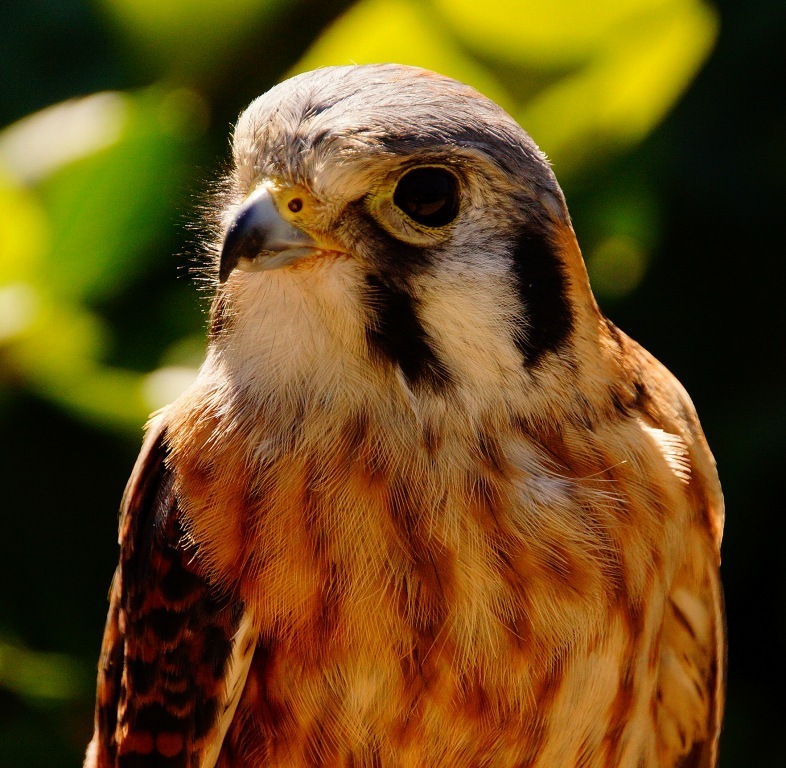 The American kestrels are some of the most enigmatic of our education birds.